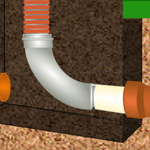 There are too many supplies, techniques and professional methods to fully understand the complex subject of a home’s water system. With as much information available today on the wide array of subjects related to plumbing water systems; it can be confusing to resolve your plumbing problems. 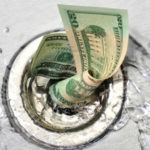 Here are some cost-effective suggestions any home or business owner can use on their plumbing projects. Routine inspection of your home or businesses’ important water system appliances is a good place to start. Any give or movement under a tile or water fixture is a sure sign of rot and deposits. You should repair them immediately and it goes without saying: don’t dispose of grout, caulk or other sealant material down the drain. Inspecting the performance of your home or businesses’ water heater appliance will save a good amount of money by the time winter’s cold weather arrives. If an early inspection reveals performance issues, expensive repairs can be avoided with routine maintenance. The harder the water tank works to heat the water, the greater the monthly utility cost will be. The most frequently used water appliances in any home are always the toilets. Simple repairs may include removing old, damaged caulk and applying a new seal; they may need a part replaced in the function area of the toilet as well. A common part to become damaged from regular use is the flapper and stopper. The flapper controls when the toilet shuts off and the rubber stopper prevents the full bowl from leaking down the sides of the toilet. Regular inspection and replacement of these parts is a cost-effective repair to prevent water damage and hygiene issues for business owners. If any noise can be heard associated with running water, it is likely that the fixtures holding your pipes in place are not working properly or were never installed. The infrastructure of any building has pipes running up and down the walls and through the ceiling and floors. Virtually everywhere we can’t see has pipes running through it. 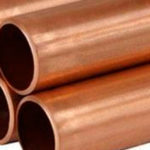 These pipes will expand, (if they are copper), and move during water operation without fixtures holding them in place. Pipes are easily damaged when not held in place; internal leaks and infrastructure damage will result in very expensive plumbing repairs. 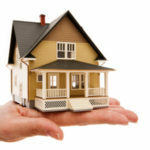 Regular inspection of the above mentioned areas in any home and business will save owners hundreds and thousands in plumbing expenses. Take some time to determine the condition of your water appliances and you are guaranteed to save money.